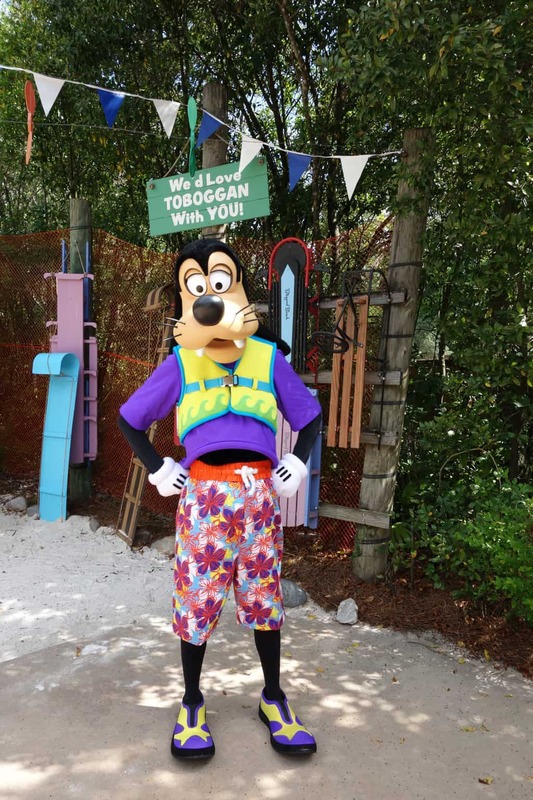 NOTE: Goofy does NOT meet in Blizzard Beach for 2016! 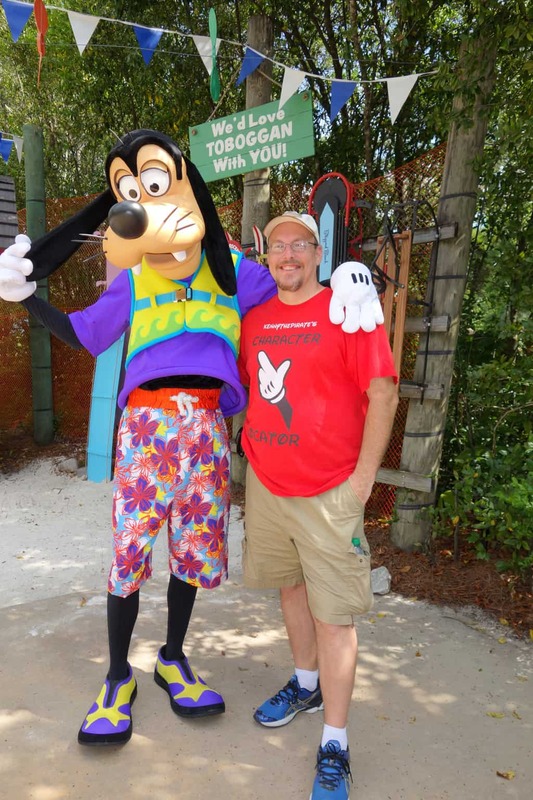 I set out to Locate Goofy at Blizzard Beach along with Lilo and Stitch at Typhoon Lagoon. 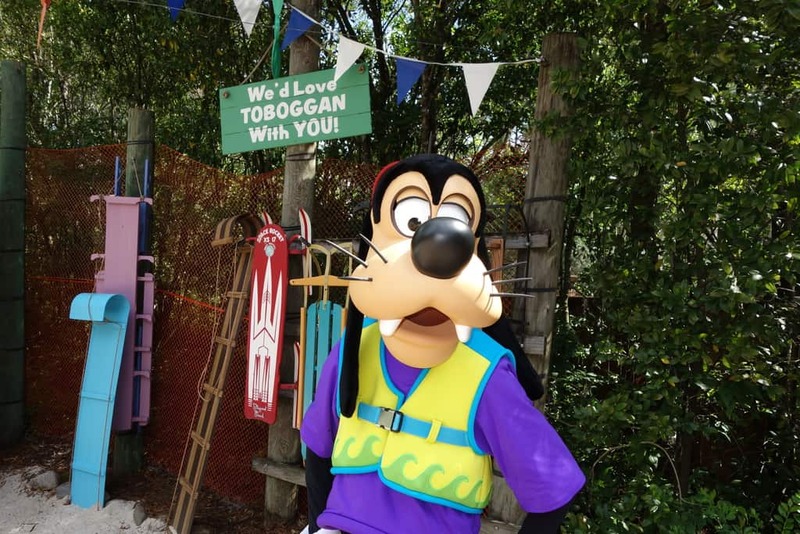 I was told 6 different locations for Goofy by 6 different cast members and one said, “He just wanders all over the park.” I finally found his location. It is on the left as you enter the water park just before the Beach Haus souvenirs. Last year, he was meeting along a path near the lazy river, but this year he is meeting in this location throughout the day. I have his schedule below. 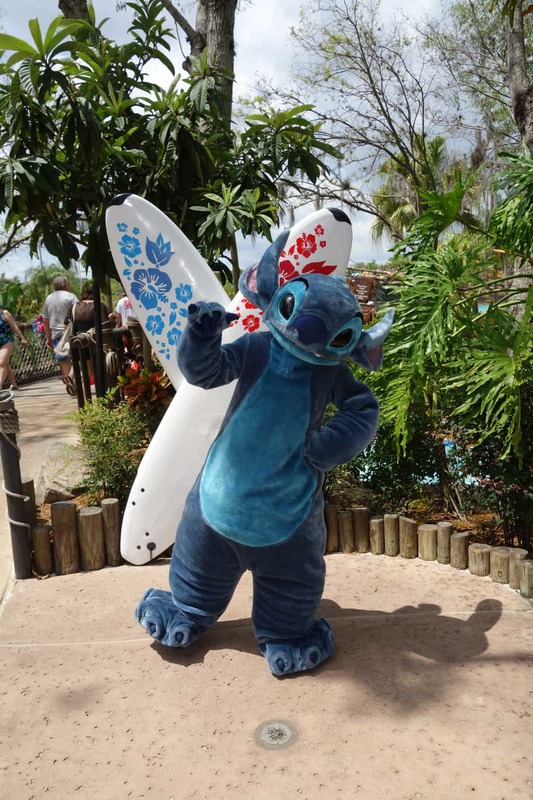 At Typhoon Lagoon you can meet Lilo and Stitch. I had hoped to catch them together in one meet, but they rotate with one another. Their location is right next to High n Dry Rentals which is straight ahead as you enter the park. The wave pool is behind the location. 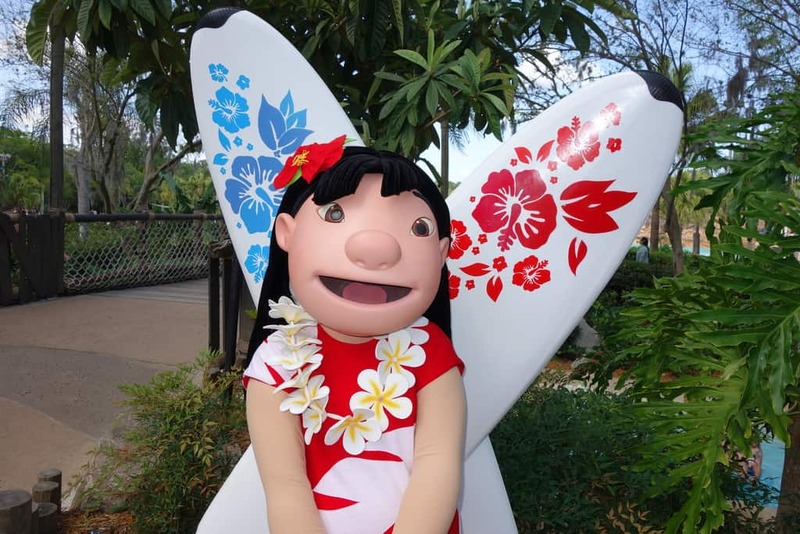 When I entered the park the first time, it was Stitch meeting, so I had to return another time to meet Lilo due to my schedule conflicting with her schedule. 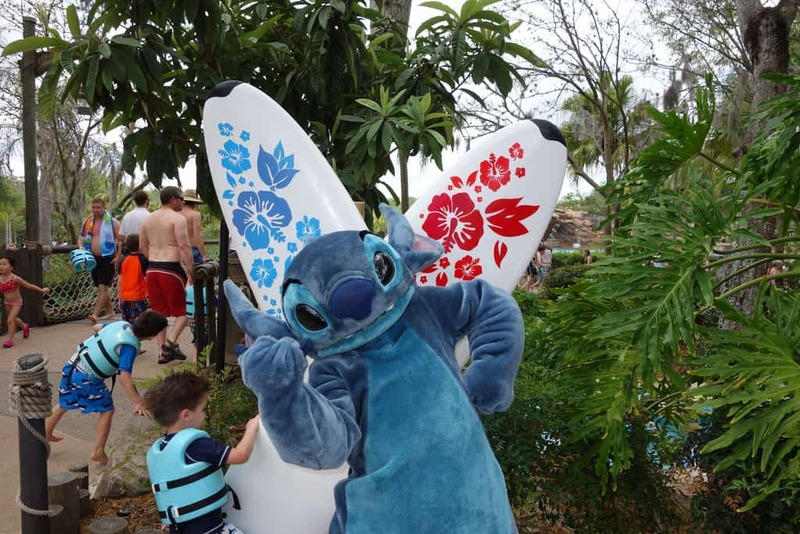 The only places that Lilo appears regularly are Typhoon Lagoon and Ohana character breakfast. The schedule for Lilo and Stitch is below. 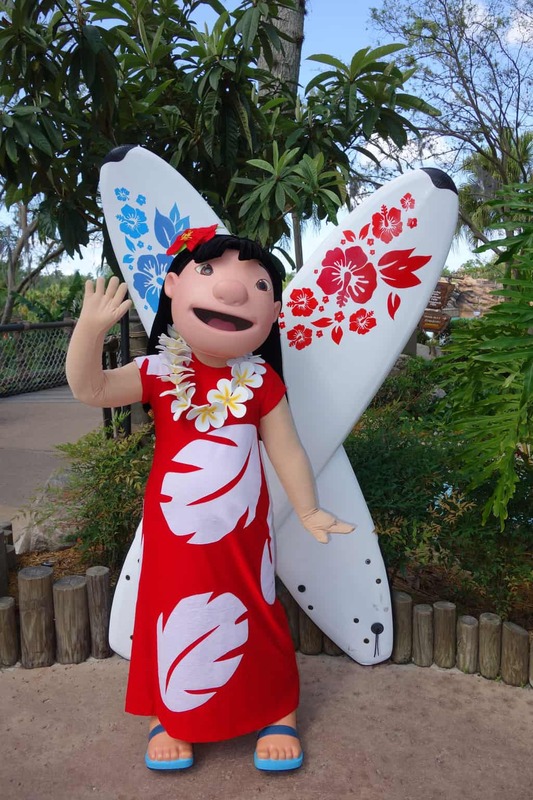 Hi Kenny does Lilo still meet at Typhoon Lagoon in 2018? Cool pics. I love goofy and Pluto so much. Dose goofy ever get in the pools? I seen a pic of him in the wave pool some site. Thanks Kenny I luv your sites! Any Information about summer 2015? Will there be characters at the waterparks or did they cancel this year? And if yes, how Long do they appear as we will visit end of August and the first week in September? They are still there until Labor day at least. 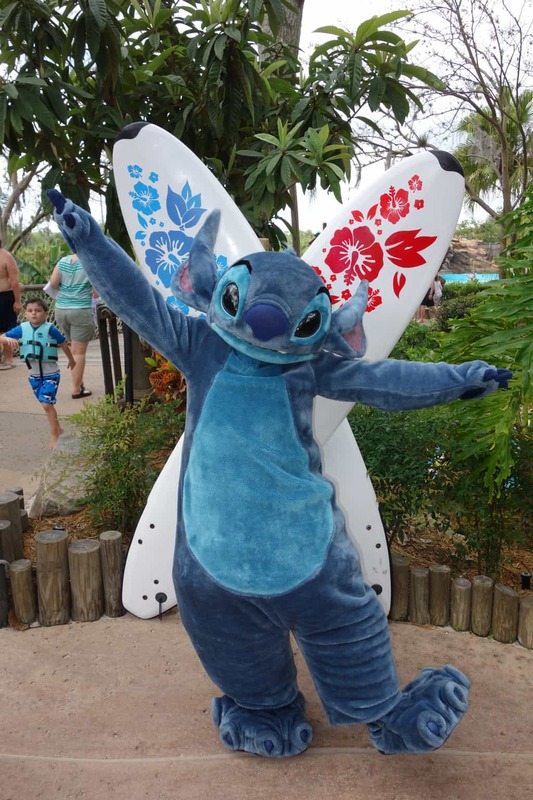 I’m wondering if you have any information on whether the characters will be available to meet at the waterparks in September? I know it’s “off’-season” so that’s why I’m wondering. Thanks! Thanks for all the info you have gathered and posted ! don’t know if it regular or not, but we saw Goofy in the above location about 10am on Sun 5/26…perhaps there is an earlier set when the park opens at 9am? Anything is possible in the character world :) This is just the most recent schedule that I was provided. It’s possible that he appears earlier as well. Thanks for the report!